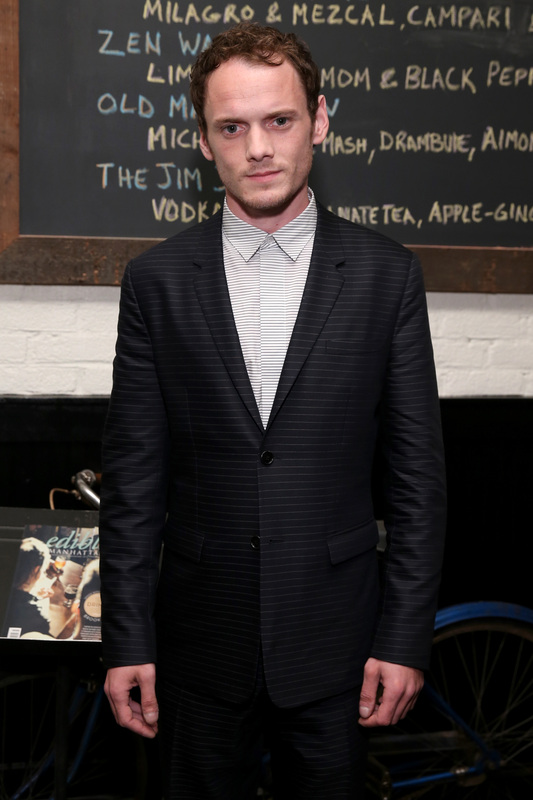 On Sunday, June 19, it was reported that actor Anton Yelchin had died, the result of a tragic accident. TMZ broke the news, reporting that Yelchin, a 27-year-old actor best known for roles in Star Trek and Like, Crazy had been killed in a car-related incident. Yelchin's rep told Bustle that the young star was "killed in a fatal traffic collision early this morning. His family requests you respect their privacy at this time." Fans of the actor are heartbroken by the news, and so are many stars, as shown by the celebs who've reacted to Yelchin's untimely death on social media. Undoubtedly, many of the actors who either knew Yelchin personally or at least were aware of his talent are absolutely devastated by the news of his death. Yelchin was an up-and-coming star who was quickly becoming a huge force in Hollywood, thanks to roles in both blockbuster movies and heart-wrenching indies. He'll be greatly missed by all, including by his peers in the film and TV industry. Below are some of the stars who have spoken out on social media about the actor's tragic death, and shared their feelings about the late star with their fans.